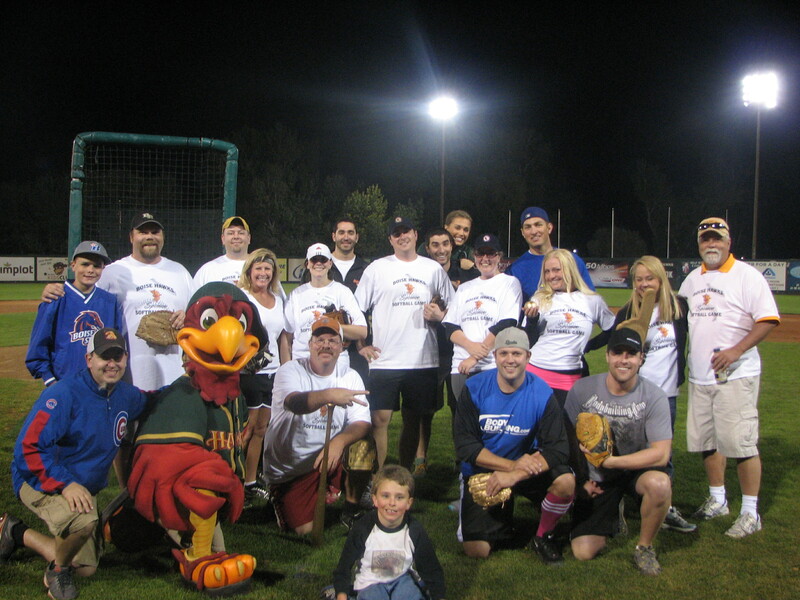 YOUR Boise Hawks hosted the First Annual Sponsor Softball Game last night at Memorial Stadium for all of the sponsors throughout the 2012 season. Participants included Primary Health, BodyBuilding.com, Brown Rental, Cable ONE, Blue Cross of Idaho, Peppershock Media and Banner Bank. The evening began with appetizers and drinks served at 4:30PM followed by a “Thank You” from President and GM Todd Rahr and dinner at 5:30PM. Inning to Inning was entertained with some form of mix up to the game. In the second inning you had to ride a toddler’s bike from home to first, in the third inning you had to hula hoop from home to first and in the fifth inning you had to run backwards, this action was attempted by some and not even entertained by others! For between inning promotions there was the Primary Health “Get Fit Race,” BodyBuilding.com Race Humphrey, Brown Rental Musical Chairs, Cable ONE TV Trivia, Blue Cross of Idaho Tissue Box Pull (minute to win it), Peppershock Media Potato Race and the Arm and Hammer Dryer Toss! John May from the Owyhee Plaza won the Dryer Toss and was awarded a year’s supply of laundry detergent. Awards for the night included the Best fan, Lori “HOTSTUFF” Knipe from the Owyhee Plaza, who was awarded the golden foam finger, the big hitter, Greg Nelson from Brown Rental, who was awarded the golden bat, the best in field, Julie Milian from Peppershock Media, who was awarded the golden ball, and the golden glove was awarded to Brad Stith from BodyBuilding.com for pouring water on Jinny Giery at the end of the game! 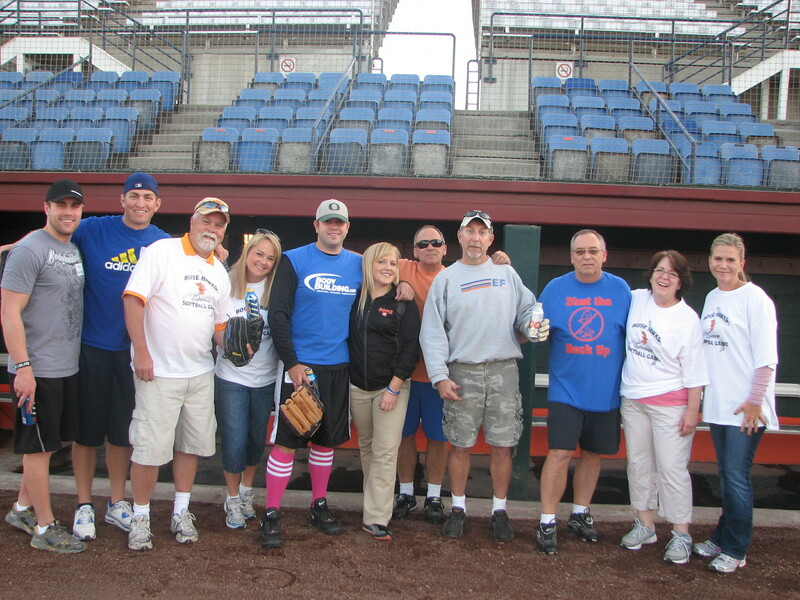 YOUR Boise Hawks staff participated both on and off of the field. Jinny Giery was the home team’s coach, Greg Marconi was the away team’s coach, JD Bowers was the pitcher, Thomas Wolff was the MC/Home Plate umpire, and I was on music duty with Brandon White on PA and Raymond Stone on the “not so updated” scoreboard. The promotions team included Elizabeth Griffin and Lauren Stopher, with Todd Rahr and Dina Duncan as the photographer/haggler’s. 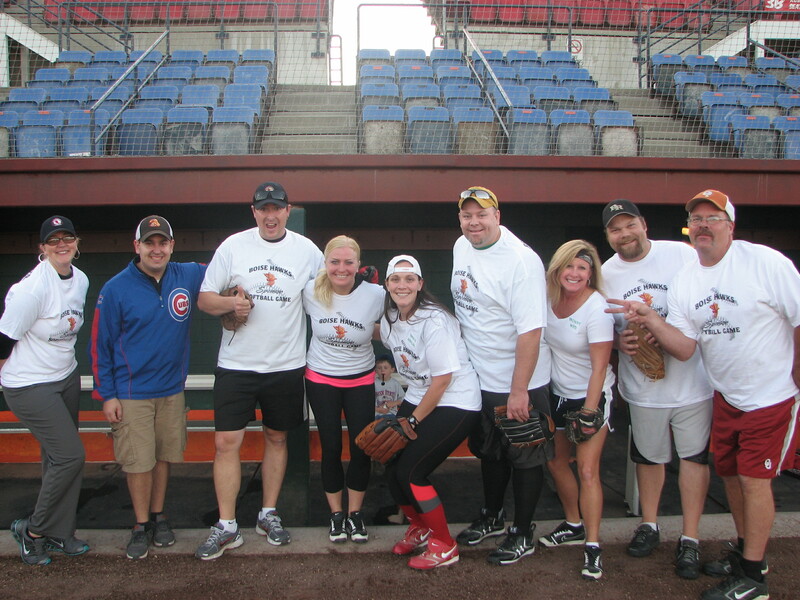 The Sponsor Softball Game was a fun way of showing our appreciation to YOUR Boise Hawks sponsors and a great way of meeting new people. Thank you to all who came out and participated and made it a great event!